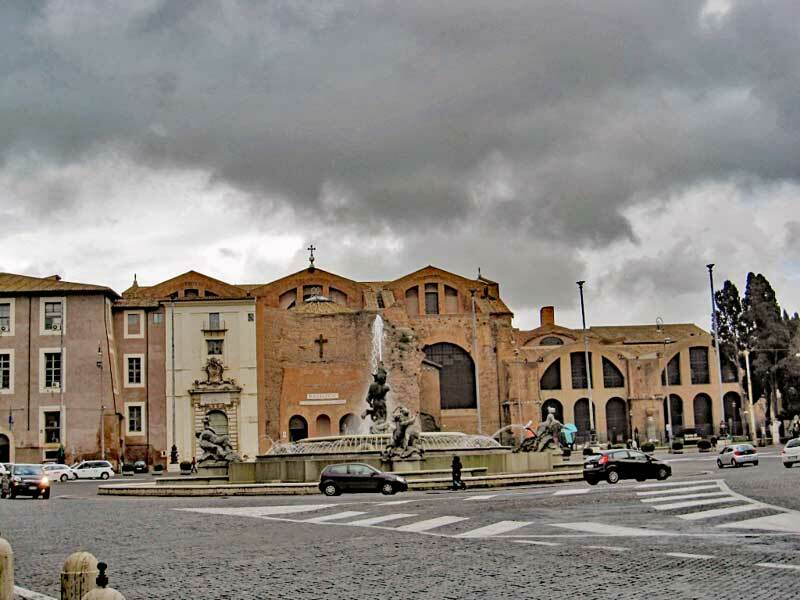 The Diocletian baths as seen from across Piazza della Repubblica with the entrance to the basilica of Santa Maria degli Angeli e dei Martiri that was later built in the ruins of the baths. 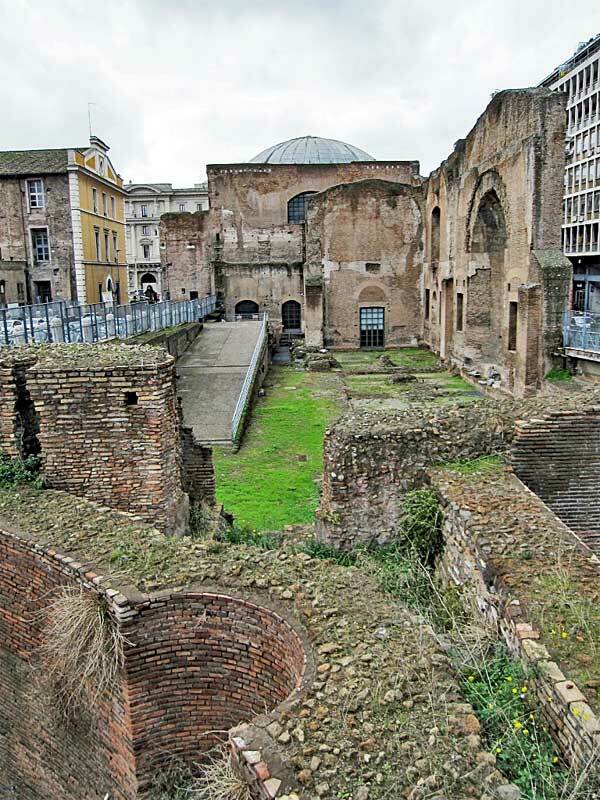 Part of the ruins of the baths of Diocletian can be found a few blocks away from the part where the museum is located. 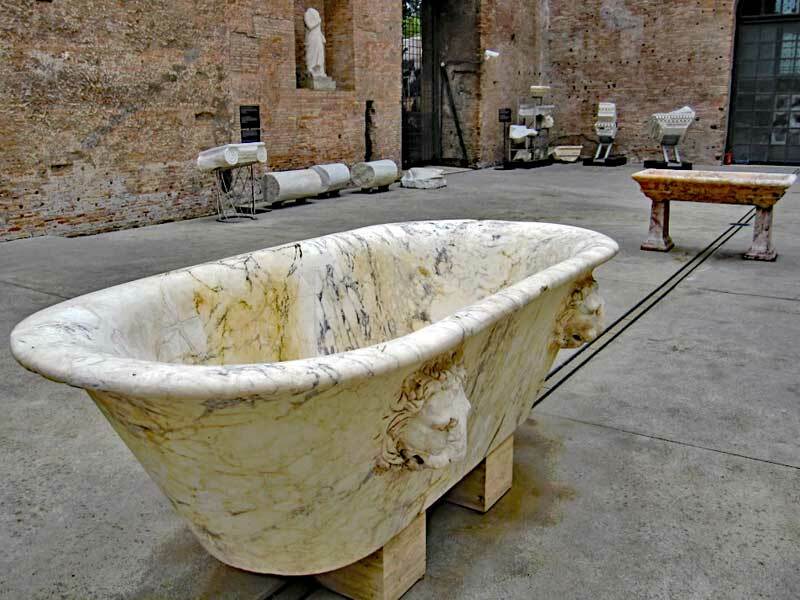 Rome, the baths of Diocletian. 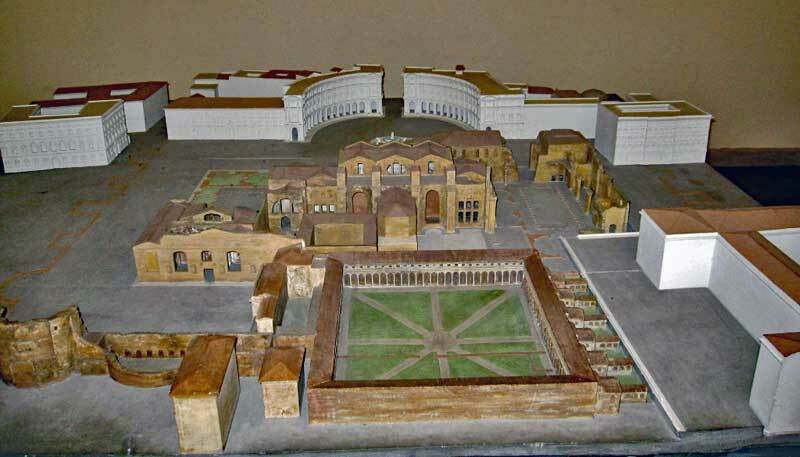 Model of the remains of the Diocletian baths in Rome. Entrance to basilica Santa Maria degli Angeli e dei Martiri, a basilica built into the ruins of the Diocletian baths. 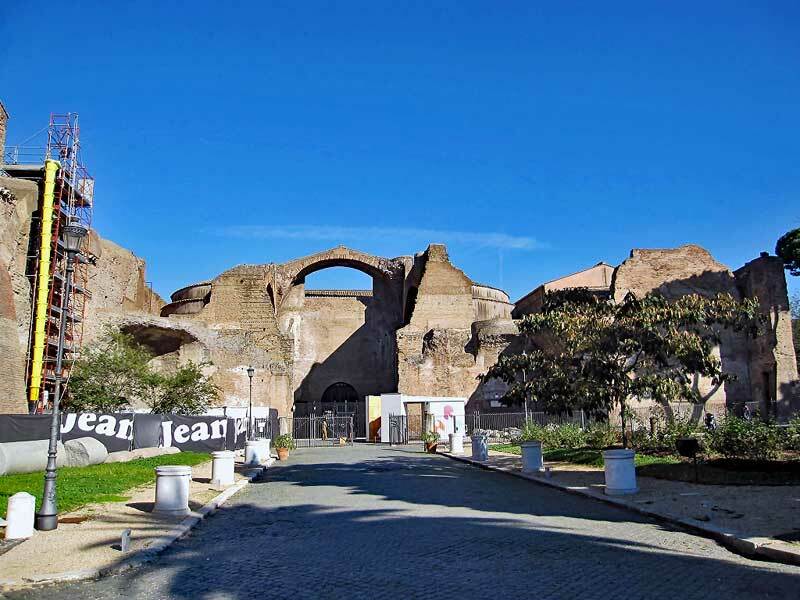 In 1561 Pope Pius IV ordered a basilica built into the ruins of the baths of Diocletian, it was to be dedicated to Christian martyrs, known and unknown. 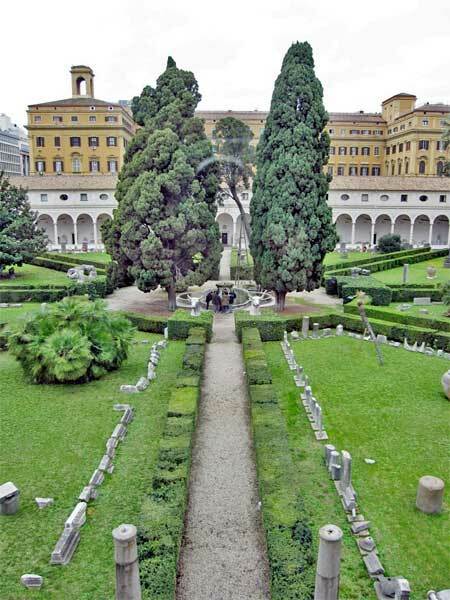 Michelangelo worked during the years 1563 and 1564 to build the basilica into a part of the ruins of the baths. 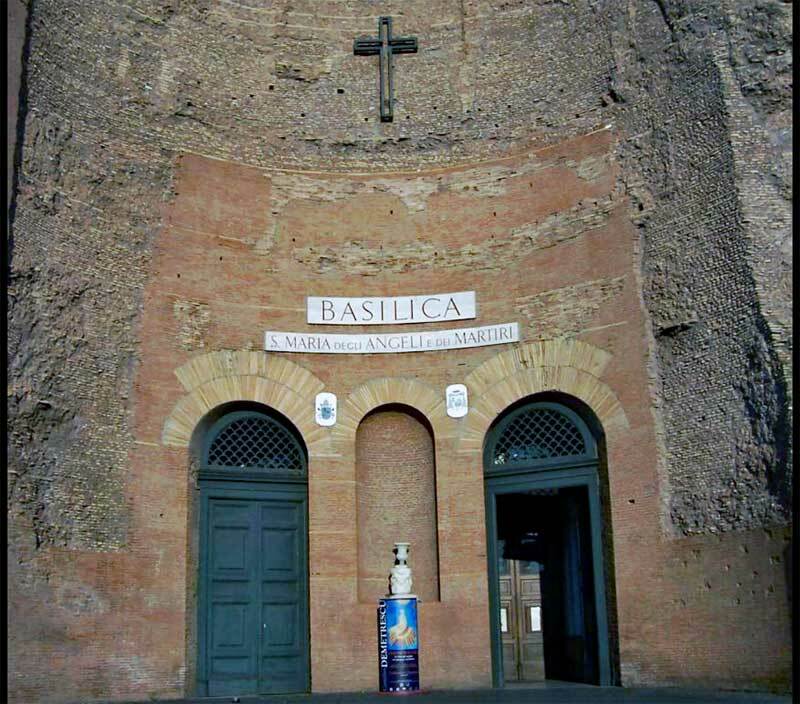 There has also been later additions to the basilica, among them a meridian line (a type of sundial) added in the beginning of the 18:th century. The meridian line was added on the order of Pope Clement XI who wanted to check on the accuracy of the reformation of the Gregorian calendar, predict Easter exactly and least but not last he wanted to give Rome a meridian line as important as the one just built in the cathedral in Bologna. At solar noon (varies in time throughout the year, 10:54 a.m. UTC in late October to 11.24 a.m. UTC in February ) the sun shines through a small hole in the wall and hits a 45m long copper line inlaid in marble on the floor. The sun would hit the meridian line in different locations between the summer and winter solstices allowing the length of the year to be calculated. Looking the other way in the pool. 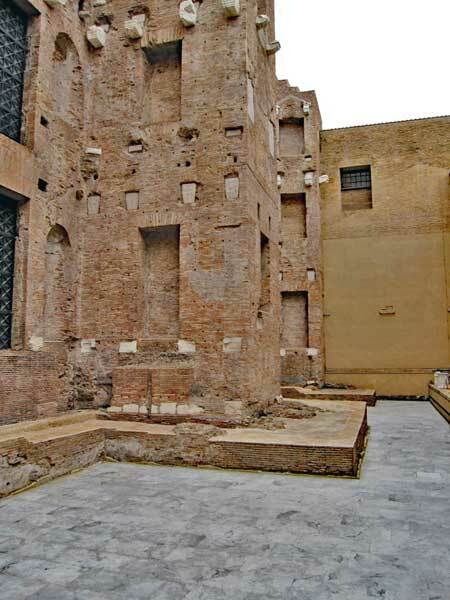 The Diocletian baths site is also home to what is nowadays a part of the National Roman museum. 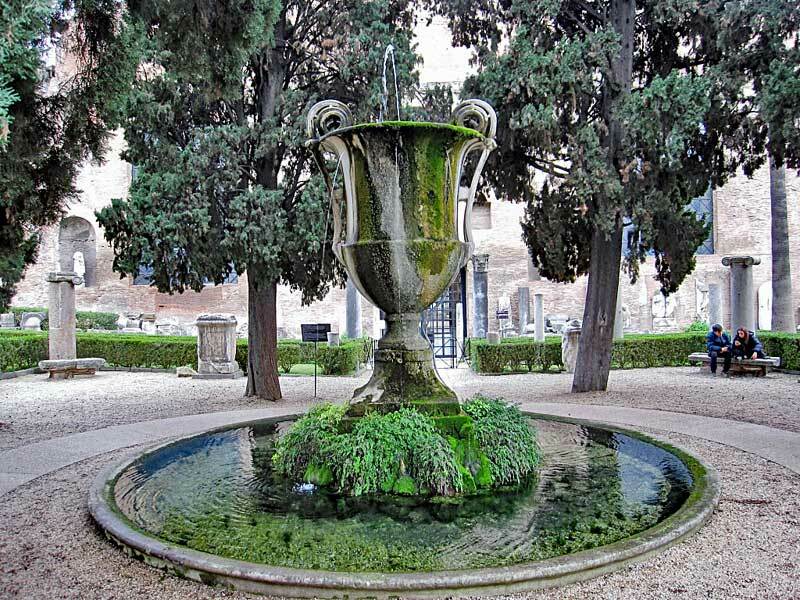 The museum is mainly housed in the 16:th century Charterhouse designed by Michelangelo. It was built on the site of the baths (see model previously where in the middle towards the bottom of the model, you can clearly see the large courtyard surrounded by the Charterhouse structure). 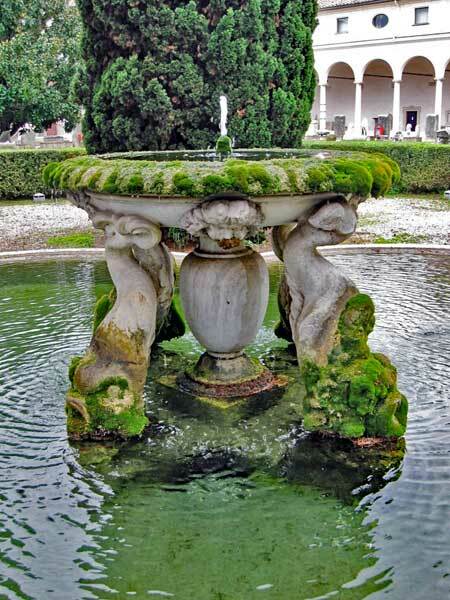 It was made into an exhibition space in time for the International Exhibition of Art 1911 (a worlds fair held in Rome celebrating the 50:th anniversary of the unification of Italy). 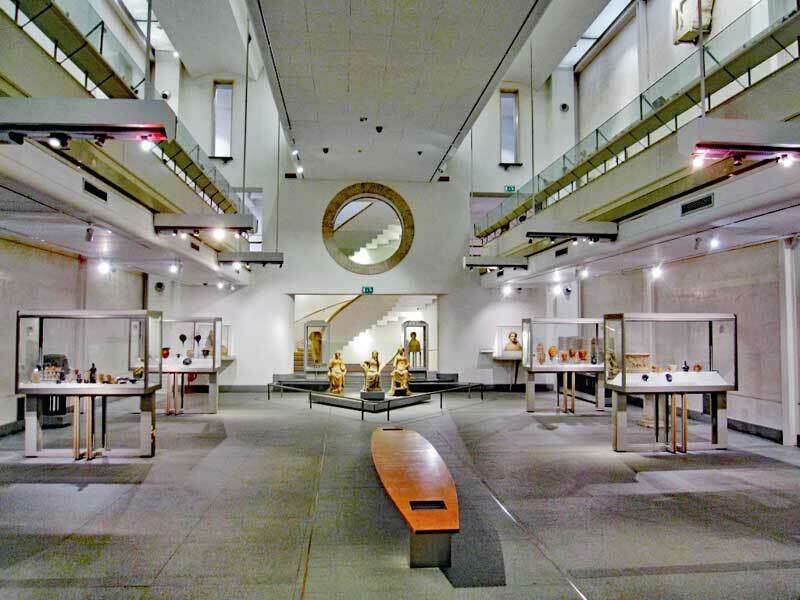 The museum holds a large number of artifacts from archeological sites in and around Rome. 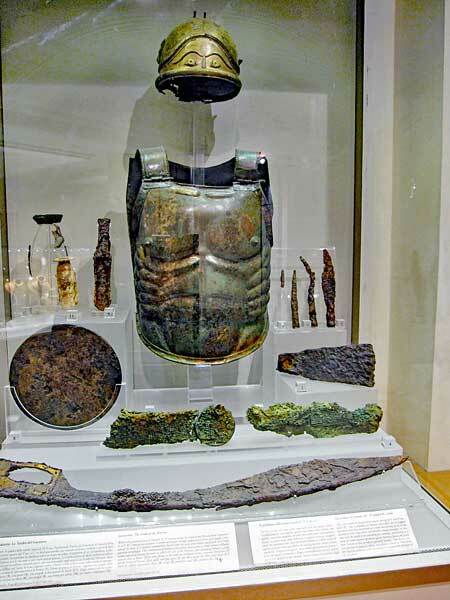 Remains of a chariot found during the excavation of a tomb at a site found in connection with roadwork in 2010. Please see below for a layout of the tomb and the articles found. 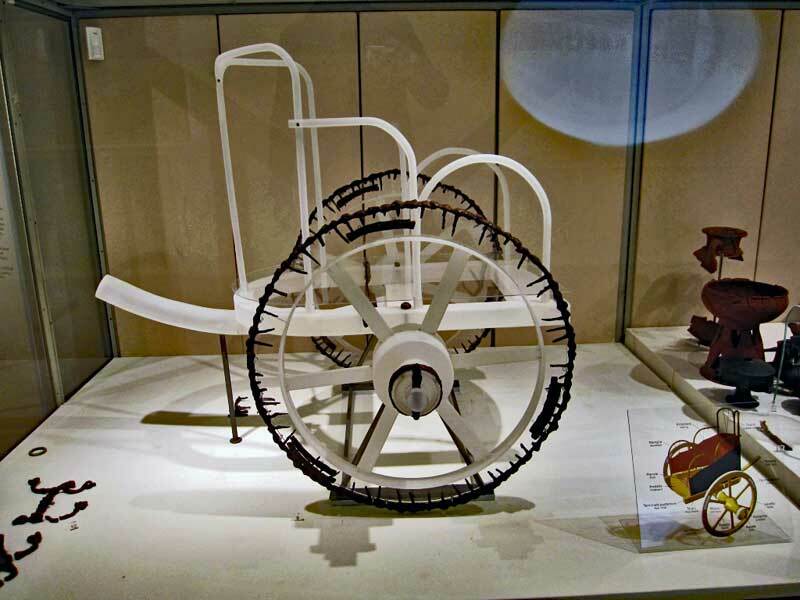 The white “skeleton” parts of the chariot is to be able to display the chariot fragments found in the tomb where they would have been on the chariot.. 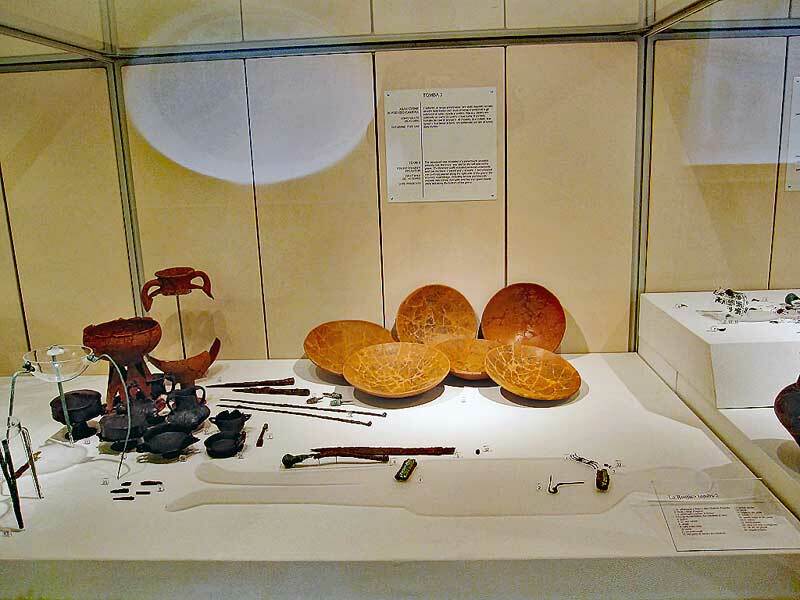 This is a layout of the tomb with the artifacts as they were found when excavating “Tomb 3” at the “La Rustica” site. The interior of the new part of the National Roman Museum at the Baths of Diocletian. 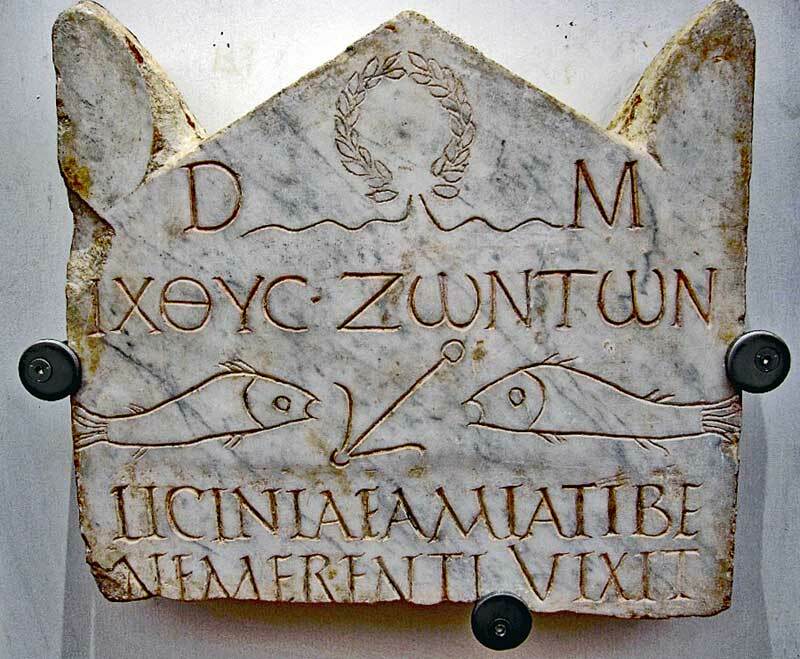 Funeral Stele in marble (stone or wooden slab used as a monument) for Licinia Amias. 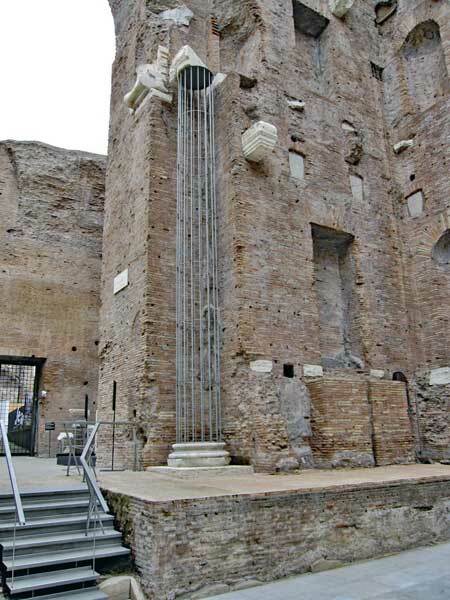 This is one of the most ancient christian inscriptions in Rome from the 3:rd century AD. 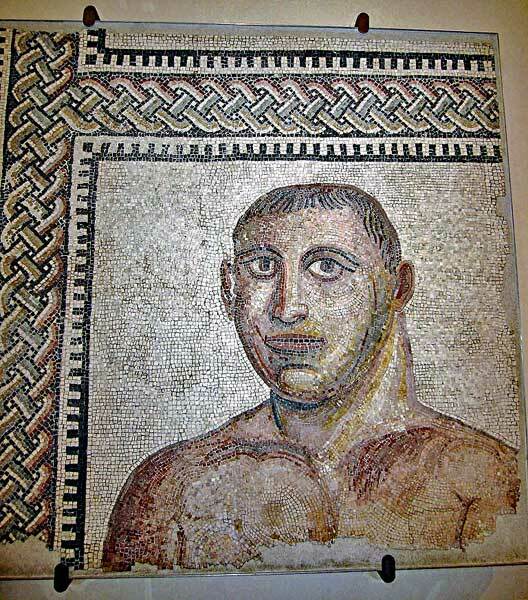 A partial mosaic of a boxer in the museum, it came from an different bath, the baths of Caracalla and is from around 200 AD. 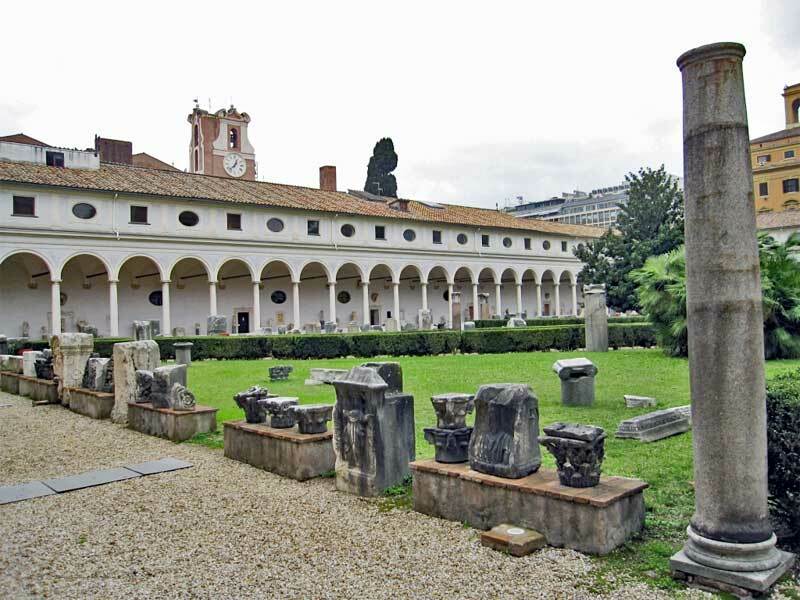 View of the courtyard at the National Roman Museum on the grounds of the baths of Diocletian. 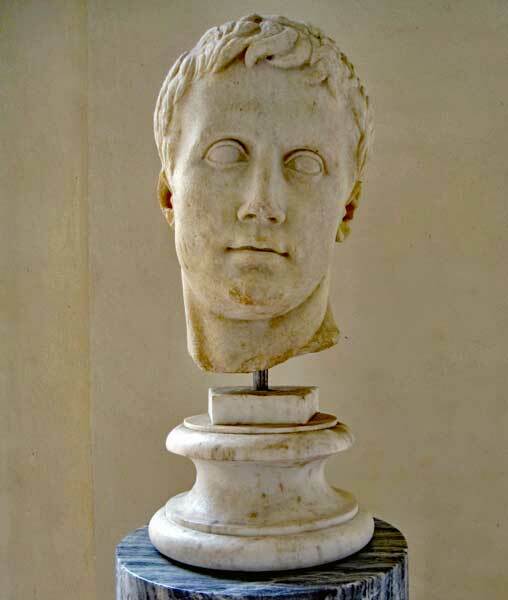 Bust of Gaius Octavius, before he became Augustus, the first Roman Emperor. 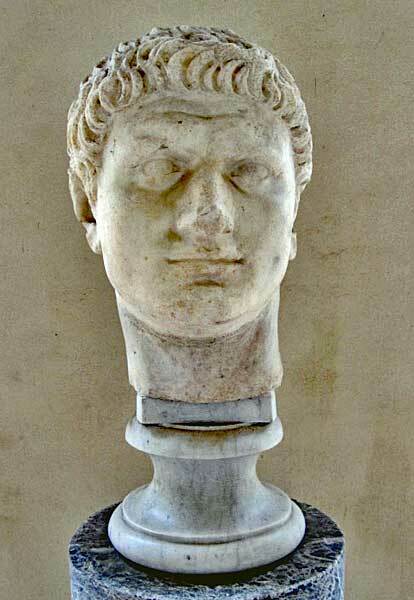 Domitian, the third and last emperor of the Flavian dynasty, emperor 81 – 96. 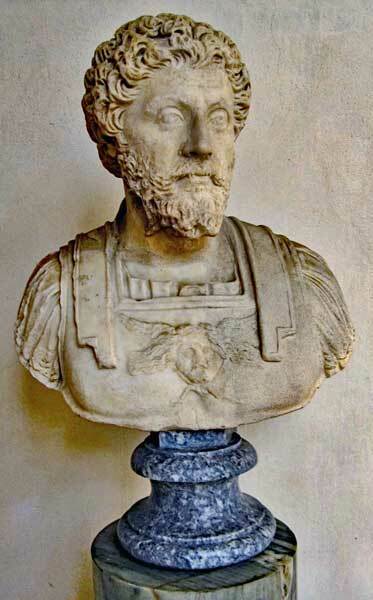 Marcus Aurelius, Roman emperor 161-180, co emperor with Lucius Verus 161 – 169 (when Lucius Verus died). 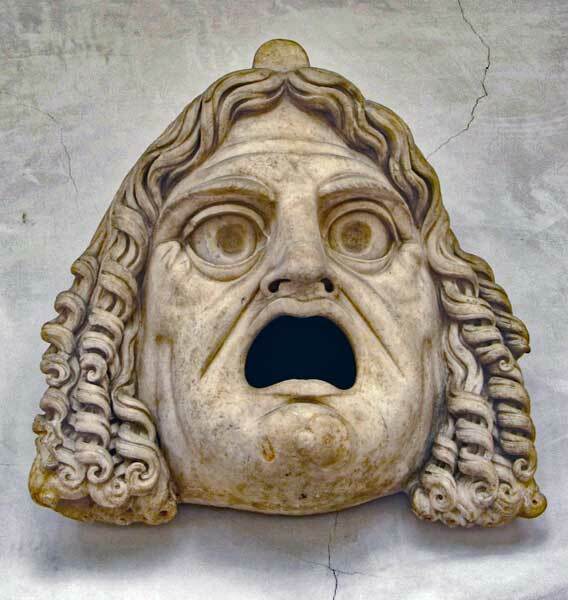 Tragic theatre mask on display in the cloister of the museum. 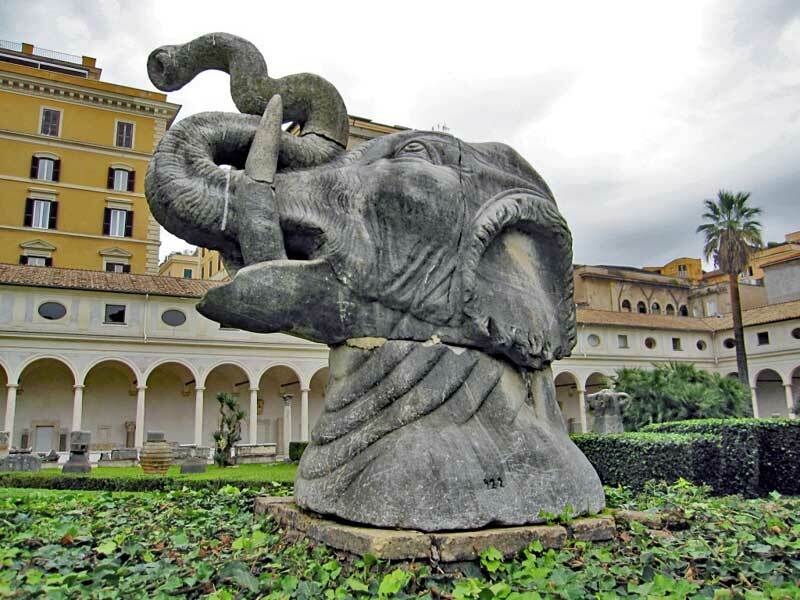 This elephant head is one of the animal head sculptures that is placed around the fountain in the courtyard.